Prof Song is a household name among the academia. He served at the UKZN (previously, UDW), then UNIZUL and SATS. 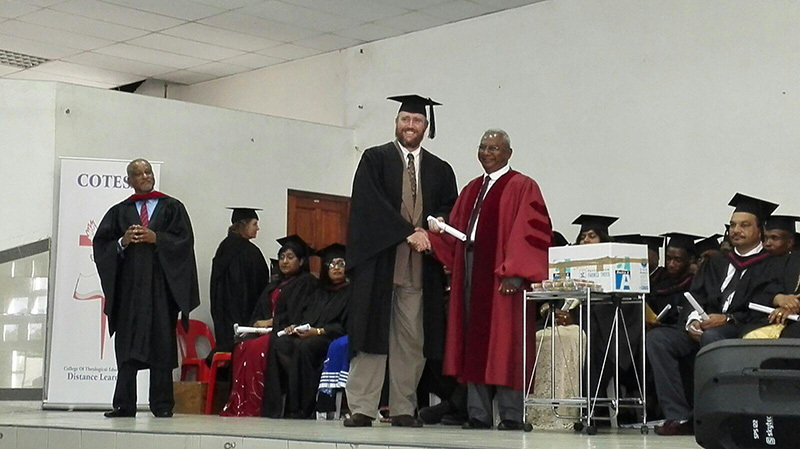 Below: David John Morrison-Young completed his Diploma in Theology & Higher Diploma in Theology in 2014, now receives his Diploma in Biblical Counselling from the principal and conferred by Dr.G.Rajoo. 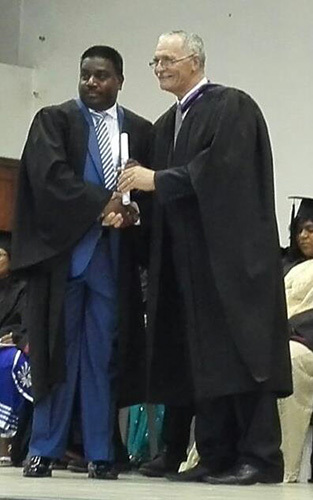 He is currently completing his B.Th (Hons) with BTCSA. 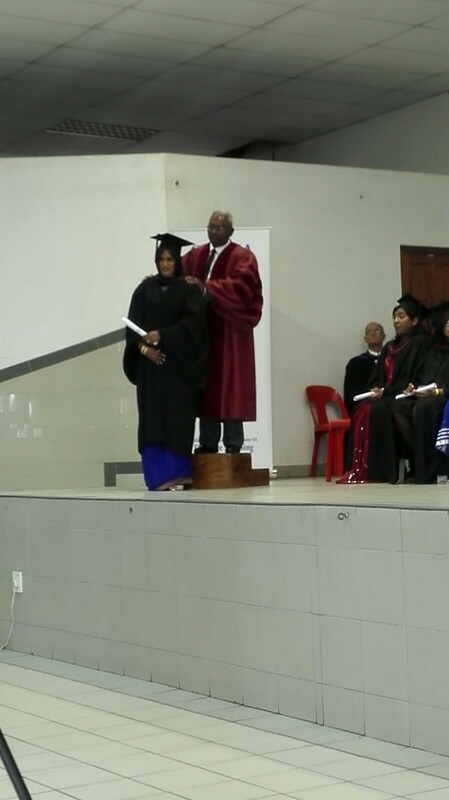 His wife Louise Anne Morrison –Young also graduates with the Diploma in Counselling. He is the student Speaker. 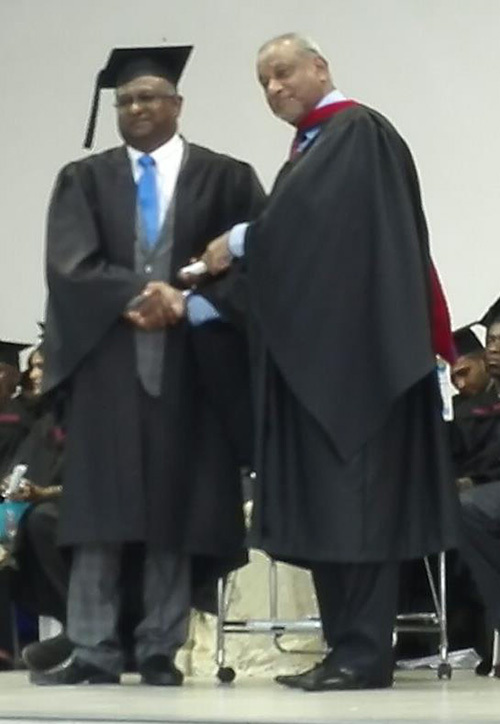 Students graduated with the Certificate in Ministry (1st year course); Diploma in Theology (3yr course); Diploma in Counselling (2yr.course) and Diploma in Pastoral Ministry (2 yr Course). WE GIVE GOD ALL THE GLORY FOR 12 YEARS of Teaching & Training with 309 graduands in total to date. We are trusting God to send MORE & MORE applicants for 2016. COTESA is NOT a Baptist College although the principal is an ordained Baptist. We are open to all denominations and we do not IMPOSE our doctrines. We merely teach the TRUTH and allow students to search the Scriptures for themselves as the Bereans did when Paul preached.